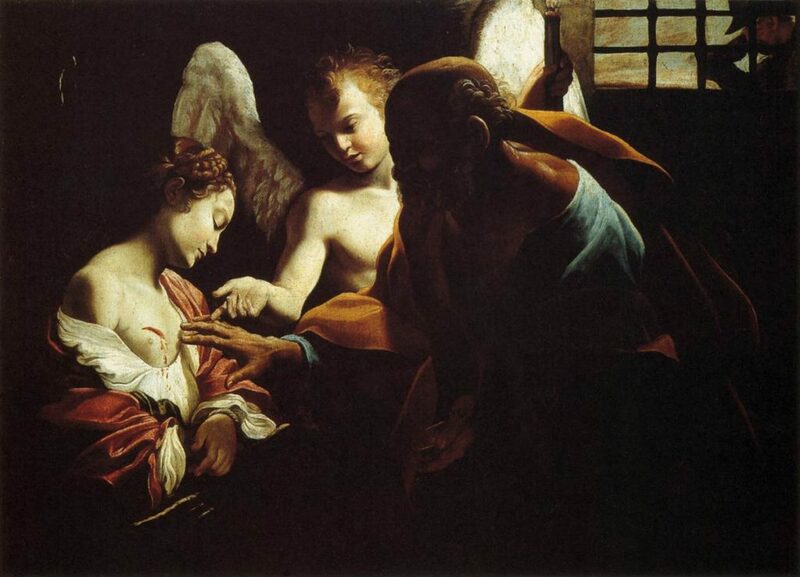 Saint Agatha (231 – 251 AD) was born in Sicily and was martyred in 251 AD during the persecution of Decius. She is commemorated by name in the Canon of the Mass. Coming from a noble family, at age fifteen she made a vow of virginity and spurned the advances of a Roman prefect. She was forced before him and asked to submit to him against her vow. The prefect sent her to a brothel to be raped and assaulted. She remained resolved to follow her heavenly spouse and the prefect had her racked, pierced with hooks, burned, whipped and had her breasts removed. Her finals sentence was to be burnt at the stake, but an earthquake liberated her from that fate. Finding herself imprisoned again St Peter appeared to her and healed her of all wounds. She died later in prison.